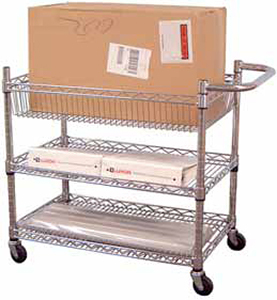 These rolling mail carts are ideal for moving boxes, packages, supplies, and mail of course. Use it in your office, business, warehouse, or even your home. 3 adjustable shelves adjust in 1˝ increments. Four 3˝ casters, two with brake. 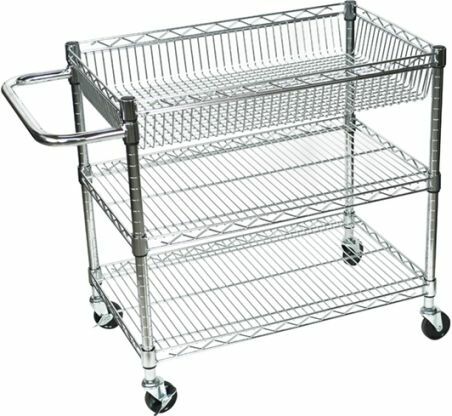 Browse all of our service/utility carts here.